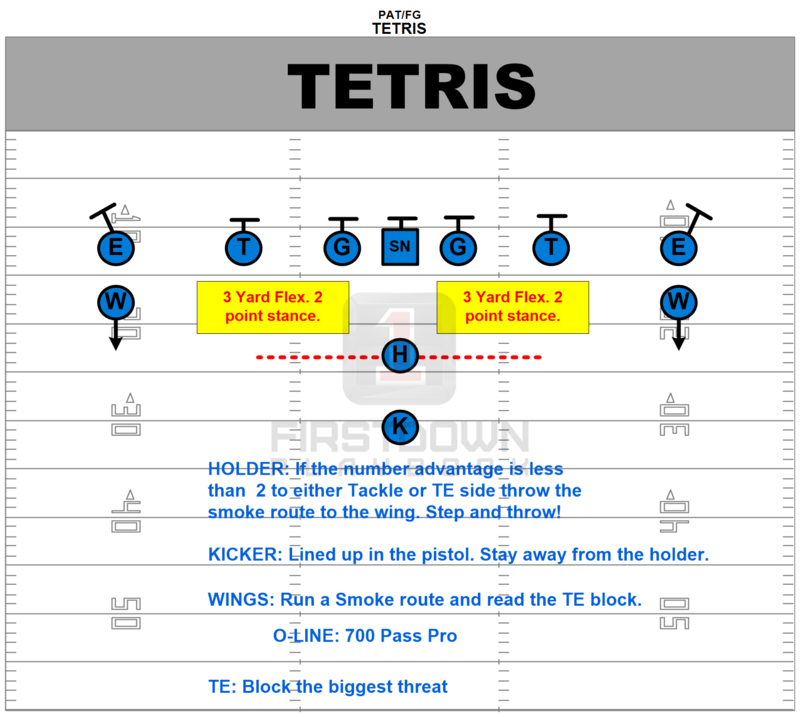 There are sections of FirstDown PlayBook that are more tedious than others. Full disclosure here, defensive adjustments are one of the more tedious ones and they are a royal pain in the backside. When you stop and realize exactly how many play drawings go into all of the motion adjustments we make for you it is pretty amazing. Why do we do we go through the pains of making all of these motion adjustments for each defense vs every single formation? For starters because it has to be done. There is no such thing as not understanding how to adjust to motion from any formation unless you want to give up a touchdown. But what about the editing tool? Why don’t we just let you guys do all of the defensive adjustments once you get the editing tool? 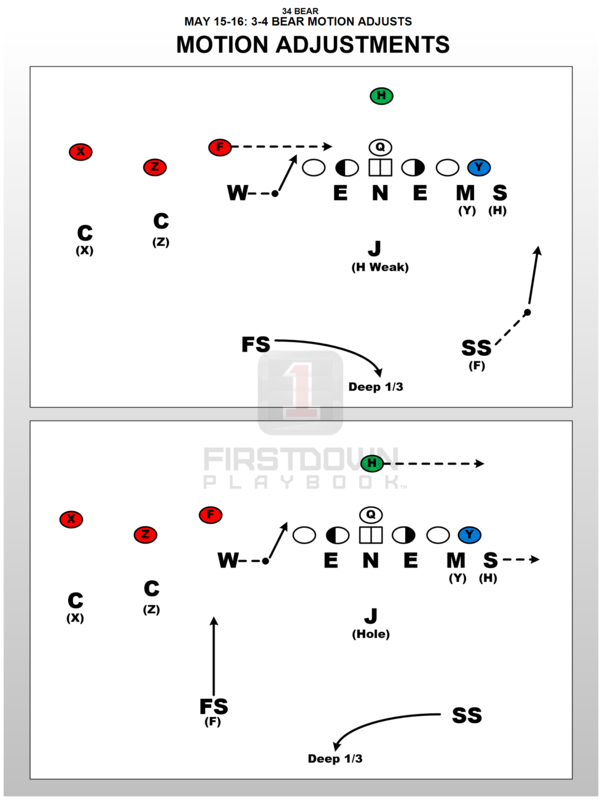 No doubt that you will make quite a few adjustments that are unique to your defense but this is where FirstDown PlayBook stands alone. Only we get you 90% of the way home before you ever start adjusting your drawing so when the editing tool is launched in January, you will have the luxury of being able to edit but you will also still have the luxury of having anything you are looking for already 90% completed! We appreciate your patience as we grind through his tedious section and we know it will be fully appreciated by you on that busy fall day coming up in the near future. Defensive adjustments are not the only thing we are setting you up with this week. 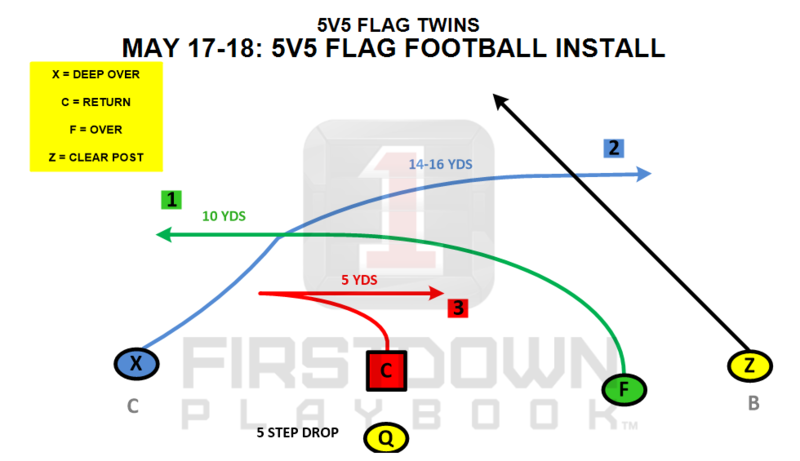 We see a lot of NFL Flag coaches showing up on the website already as you begin to get ready for this fall so we are going to hit you up with some more offensive flag football plays geared towards the younger players. Finally at the end of the week we are going to tie up some loose ends in the special teams department because we know we have neglected you a little lately. 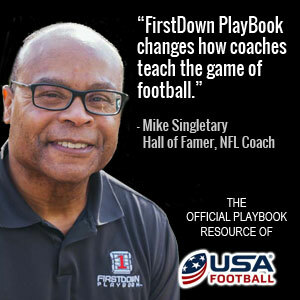 So as usual if you blink you are going to miss something around here so the smart thing would be to check the Coaches Community website for FirstDown PlayBook out on a daily basis! THIS WEEK ON FIRSTDOWN PLAYBOOK! BANG ON THE PLAYS BELOW TO GO RIGHT TO THAT SECTION!